← Can I has gazelle? A while back I fielded a question about the celebration of the Sacrament of Baptism in the traditional form, using the older Rituale Romanum. In that discussion the issue of booklets for the use of bystanders came up. The nice people at Angelus Press sent me a copy of their booklet for baptism in the traditional form. One booklet costs $3.95 and packs of 10 cost $26.00. The booklet does not have an imprimatur. There is a place to write in names, dates, information, for when this book serves also as a memento of the rite. There is English and Latin for everything, facing. There is a useful section on godparents, or “sponsors” as they are sometimes called today. Since not all who come into the Church are unbaptized, there is a section for the reception of converts. It was interesting to read this. This was the form I used, lo those many years ago. It is a useful book. I would prefer an imprimatur, of course. And I am not entirely enthusiastic about giving people treatises on baptism by priests who are not in manifest unity with the Roman Pontiff. 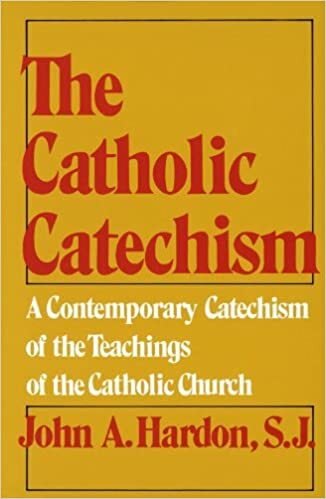 However, if you are going to have traditional baptisms in your parish, Reverend Fathers – which you can under the provisions of Summorum Pontificum – you may find this book useful in many ways. This entry was posted in "How To..." - Practical Notes, REVIEWS and tagged Angelus Press, baptism, review. Bookmark the permalink. I have used this booklet when attending a Baptism in the Extraordinary Form of the Roman Rite. It is very nice, but I personally hesitate buying anything from Angelus Press. I am surprised that one of the SSPX bishops didn’t provide an imprimatur. What does this suggest to you if SSPX bishops won’t give an imprimatur (which simply means, “Let it be printed”) to releases of Angelus Press, their own publishing house? Excommunications were lifted against all four of their bishops. All this did was to remove an obstacle to their eventual reconciliation. In the meantime, His Holiness has said IN SO MANY WORDS (as I gather from this site) that SSPX clergy exercise NO legitimate ministry in the Catholic Church. Yes, the SSPX is out of communion with the Church, but there are many priests in good standing who teach heresy. I’ve heard heretical absurdities from the pulpit during Mass. Are these demonstrably heretical priests in good standing with the Church? Is there a difference between the two types. I strenuously suggest that far less harm is being done by the SSPX than by modernist priests within parishes. Actually, the only harm the SSPX is guilty of is scandal, but there is certainly a much greater scandal in bishops allowing clergy within their jurisdiction to teach error. With the Church in its current state: pro-abortion nuns, active homosexual priests, dismal Mass attendance, disbelief in infallible essentials–and let’s not forget the homosexual bishop who give almost a quarter million dollars of Church funds to silence a homosexual partner–and who is STILL allowed to speak from the pulpit! With these outrages a part of daily Catholic life, we ought to be grateful that the SSPX has kept the faith. The problem with the SSPX is one of technicality, but the problem with heretical priests freely allowed to minister in the Church is a grave scandal that is costing the souls of those they infect. Can’t just review a book or calendar put out from Angelus Press without the constant “illicit, not in union” shots. Please once just review the merits, or lack thereof, of a SSPX printed book leaving the anti-SSPX talking points aside. NCTrad: I shall add whatever comments it pleases me to add in my reviews on my blog. Furthermore, the bishops and priests of the SSPX are suspended a divinis. Yes I am sure you will add whatever comments you wish, which is of course your right. Your constant anti-sspx snipping though really doesn’t add anything of value as to whether the book is worth purchasing or not. It comes off as petty. I’ll trust the orthodoxy of a book published by Angelus Press anyday of the week over an imprimatur from about 90% of the current hierarchy. I note that there are real advantages to the traditional rite of Baptism over the new rite; viz., the traditional rite has exorcisms in it and the new rite does not. The same is true, I understand, for the traditional rite of the Sacrament of Penance versus the new rite. Does this mean that the new rites are leaving loopholes for evil spirits to waltz right in where before, in the traditional rites, they were explicitly driven away?